Colonel Frank T. Flannery joins Peter Reitzes for this Veterans Day special episode to discuss serving your country while stuttering. Colonel Flannery describes his military experience of being highly accepting of people who stutter. Colonel Flannery discusses the daily challenges of stuttering and overcoming avoidance behaviors. Colonel Flannery shares how meeting other people who stutter in group speech therapy and at the National Stuttering Association conference is comforting and reassuring because their concerns and experiences mirror his own. Flannery mentions that being a covert stutterer in the military and in life is challenging because of the fear of discovery. Colonel Frank T. Flannery, M.D., J.D. is a physician-attorney, is a graduate of Seton Hall University School of Law and the Uniformed Services University School of Medicine. He is a member of the Bar of the United States Supreme Court and a Diplomate of the American Board of Family Medicine. Dr. Flannery’s clinical practice experience includes emergency medicine, family medicine, and allergy and immunology. Following a long and distinguished career in the United States Army, he retired from the military in 2003 after 31 years of service at the rank of full Colonel. 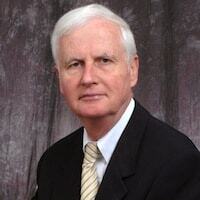 Dr. Flannery has authored more than 70 journal articles and book chapters in numerous publications, including the Journal of the American Medical Association and the American Journal of Cardiology. The National Stuttering Association offers Colonel Flannery’s full bio on their Professionals Who Inspire Page.